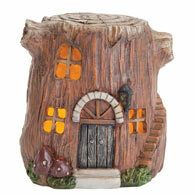 Create your own woodland fairy village with our light-up tree house, fairies, sprites, gnomes, and accessories. 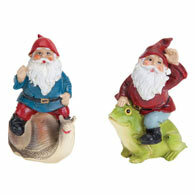 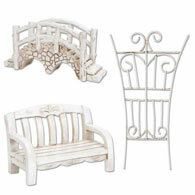 Each adorable miniature is sculpted of polyresin or metal (trellis and stakes) and hand painted with delicate detailing. 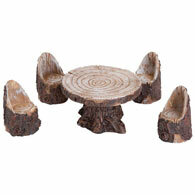 Place in a large shallow bowl, raised garden bed or a corner of your garden. 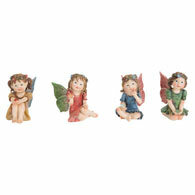 Then use your own moss, plants and stones to create a delightful fairy environment inside or out.